A classic “embutido” in the “Pata Negra” chorizo style. A classic “embutido” in the “Pata Negra” chorizo style. 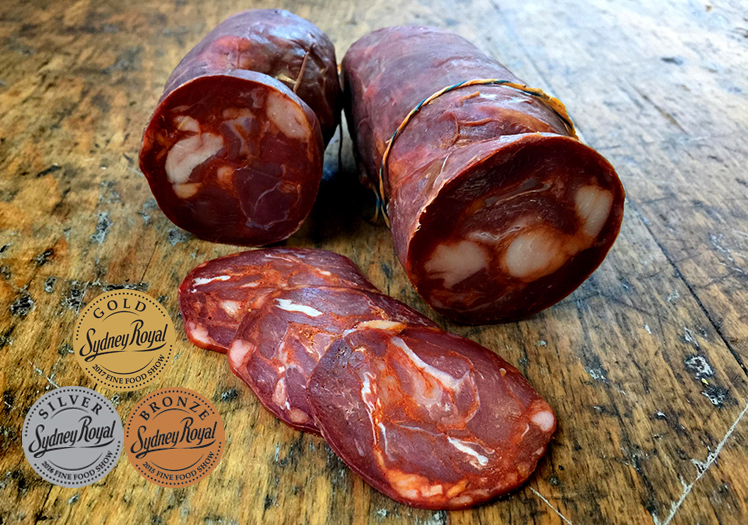 Full sweet gamy flavours filled with pimenton and a robust meaty texture. We develop the Iberico flavour and texture notes using Wild Boar from the Mungo National park in outback NSW.